but what you can do with technology. The goal is to enhance our territory, live together with everything we have: nature, traditions, culture, beauty. There is no greater weapon than allowing everyone to know your reality and the passion you put into everyday work. Just open the doors of your company, your shop, your cave, your laboratory or even simply show your field: the place where your products come to life will be perfect for welcoming visitors from far away to taste and buy the delicacies of our territory. You are the host and we have the tool that will make all this possible. This is the main information we ask of you but of course before starting our collaboration we will contact you to confirm your interest in being part of this project. 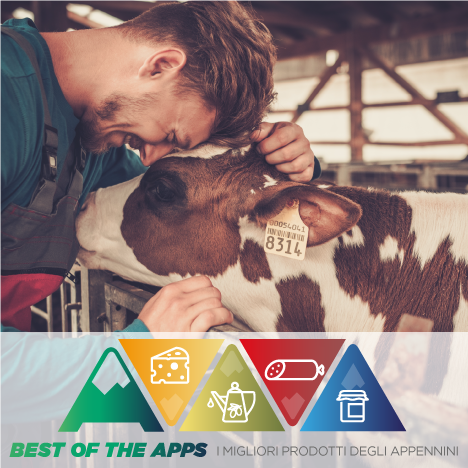 We can also meet to get to know each other: it will be a pleasure to come and visit you to breathe the fresh air of your hills and understand what makes your products so special. 2. Membership is completely free of charge! 3. Remember to follow the social channels and share the project with your acquaintances, your neighbours, your friends… The Apennines need all of us!